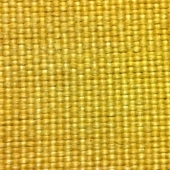 Acrylic Rubber Coated Fiberglass Cloth | GarCo Manufacturing Co., Inc.
22-oz woven Thermoglass fabric coated with yellow or black acrylic rubber on one side. 40-in and 60-in widths. This entry was posted on September 1, 2015 by GarCoMfg in Amatex, Fiberglass, Insulation, Safety/Fire Protection, Textiles, Weld Protection, Woven and tagged Acrylic rubber, Amatex, Amatex Broad Cloth, Fiberglass, G19P33-BK, G19P33-YL, insulation, Textiles, Thermoglass, Weld Protection.